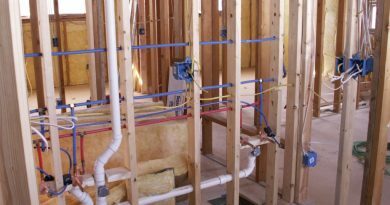 There are many specialty plumbing tools available to help you renovate your bath and tackle most of your rudimentary renovation jobs such as installing and repairing fixtures. 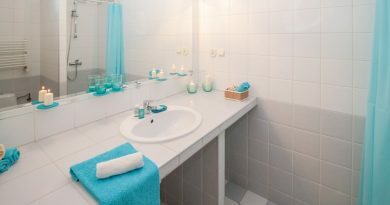 Fortunately, with just a couple of basic instruments, many problems that arise in your bathroom can be resolved without hiring a professional plumber or purchasing extensive repair equipment. From clogged toilets to leaking pipes and replacing showerheads, all it takes to resolve these issues is the right set of tools and a little know-how. Here’s a small list of devices available to tackle the most common problems along with an easy-to-follow guide on how to use these repair utensils. 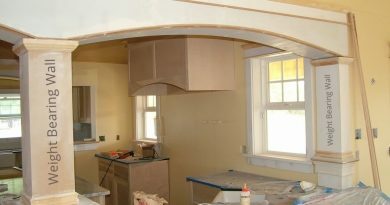 Forget about the plumber and save big-bucks by becoming your own expert in the field of DIY bathroom renovation. These handy supplies can be used for a variety of different repair jobs and are sure to help you get your bath project on its way. An adjustable pipe-wrench is the ideal instrument to loosen or tighten piping in your bath. Its steel structure is built for toughness, and its length and jagged teeth will give you the necessary grip and leverage to tighten or turn-loose even the most rusty pipe fittings. As the name implies, this wrench has an adjustable jaw that can shrink or extend to fit a wide variety of piping by simply rotating a circular knob located at the head of the wrench and applying the necessary force to turn the piping. Though it has the ability to loosen most pipes and fittings, the adjustable pipe-wrench is known to leave teeth marks; therefore, it should not be used to tighten/loosen faucets, chrome-valves or other trim-plumbing. So if there is a leaking pipe that needs immediate change, the adjustable pipe-wrench is the perfect plumbing tool to help you get the job done. 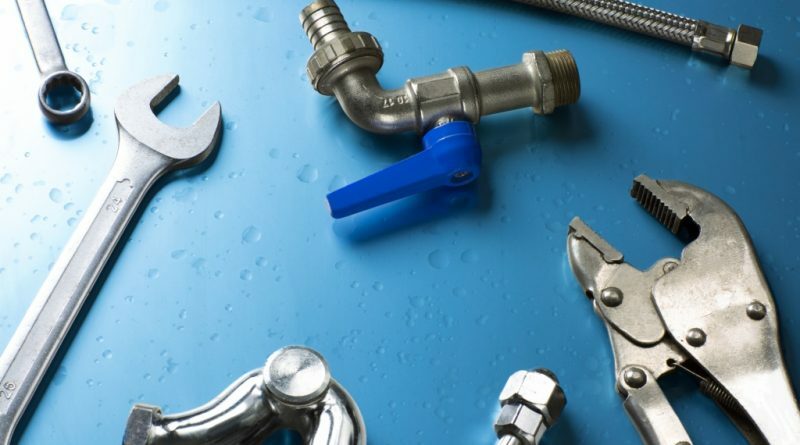 While the adjustable pipe -wrench is a must-have to aid with a do-it-yourself bathroom renovation that involves the tightening/loosening of pipes and fittings, sometimes there are small nuts and bolts that fasten a toilet fixture or bath sink that you desperately need to change and the adjustable pipe-wrench cannot get the job done. This is no reason for alarm; the crescent-wrench is a device that also has adjustable jaws that can reach all those tight spots to loosen or tighten nuts/ bolts. All you have to do is adjust a circular knob located on the head of this instrument to narrow or widen the jaws to fit the target, apply pressure, and the nuts/bolts will be off or tightened in no time. Due to its smooth jaws, the crescent-wrench is able to tackle piping and other valves that an adjustable-pipe wrench might damage with its jagged teeth. Chances are that after an extended period of time your sink drain will become clogged with debris. The sink-auger is the perfect plumbing tool to unclog your bath sink during a do-it-yourself renovation project. It has a long flexible metal wire with an auger-bit at the end that is coiled within a drum; at the base of the drum there is a set-screw put in place to hold the wire from coming out and a rotating-knob to reel in the wire whenever the set-screw has been loosened to release the cable. To get rid of that pesky clog in your bathroom sink, all you have to do is release the set-screw and manually pull out the flexible wire from the auger and insert it into clogged drain. The auger-bit will eventually touch the clog. When this happens, extend about a foot more of the cable and tighten the set-screw to secure it. Begin rotating the knob to spin the wire and before you know it any debris blocking your sink from efficiently draining water will be history. The sink-auger is built to unclog your bathroom sink, but to accomplish a do-it-yourself toilet unclogging, the closet-auger is a specially designed device that will help you to resolve this drainage problem. The closet-auger is quite similar to the sink-auger but has a hand-crank on top and resembles a hollow metal sleeve that is curved at the end with a length of flexible wire that has an auger-bit attached to it. The first thing you have to do before putting this apparatus to use is determine whether your toilet flows to the front or to the rear. A simple visual assessment should be no problem, but if you need to be sure, try reading the manual that came with your fixture to find out this information. Once you have found the direction of water-flow, manually extend about 6 inches of flexible cable from the closet-auger, tighten the set-screw and push the metal sleeve into the toilet bowl and make sure that the curved end is facing the water-flow. After feeling any obstruction in the piping, begin turning the crank to spin the auger-bit and unclog the debris; easy as that you have restored your toilet into tip-top working status. This repair tool is as basic as it gets for do-it-yourself work. The cup-plunger has a wooden handle that supports a suction cup at the end that should be used to unclog your bathroom sinks, showers and tubs. However, don’t let this cup-plunger fool you into thinking that its suction is designed to plunge clogged toilets because there is a specialized device (flange plunger) used to fix such a problem. In order to properly use this plumbing implement, make sure that any overflow holes in the sink or tub is tightly sealed by duct-tape. Now, all that you have to do is place the plunging cup securely over the drain opening, fill the sink/tub/shower with a little water and begin pushing the cup down and up until the drain begins to take the free-flow of water. This article has only highlighted a few plumbing tools that will surely assist you in a do-it-yourself bathroom renovation. Why hire a professional plumber that will dig deep into your pockets to solve rudimentary repair problems that a few simple devices can make the job a piece of cake. If you don’t already own the plumbing supplies mentioned in this article, it is still an economical idea to purchase them, and when the need arises, you will have this article to refresh your mind as to how to fix or replace broken bath fixtures.